The former Prime Minister examines the history of one of the great loves of his life. The former Prime Minister examines the history of one of the great loves of his life. Throughout John Major's life, one of the constant factors has been his deep love of cricket. In this sumptuously illustrated book he delves deep into the game's history, tracing its development from its rustic beginnings to the international sport we know today. Along the way he examines - and at times demolishes - many cherished myths. Among the subjects to which he pays particular attention are the changing social role of cricket, developments in the rules, the emergence of the professional player, the game's spread throughout the British Empire and the part it has played in cementing international relations. 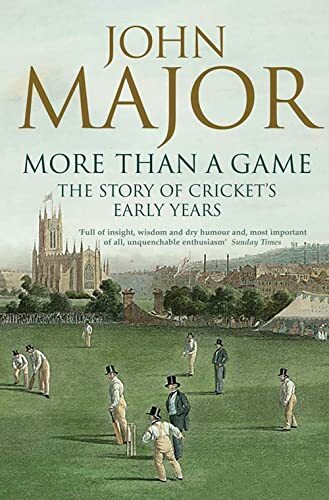 John Major's history of cricket reflects not only his lifelong passion for the game, but the depth of his research among a wealth of hitherto neglected but fascinating sources. It is a significant addition to the already rich literature of the greatest game of all.